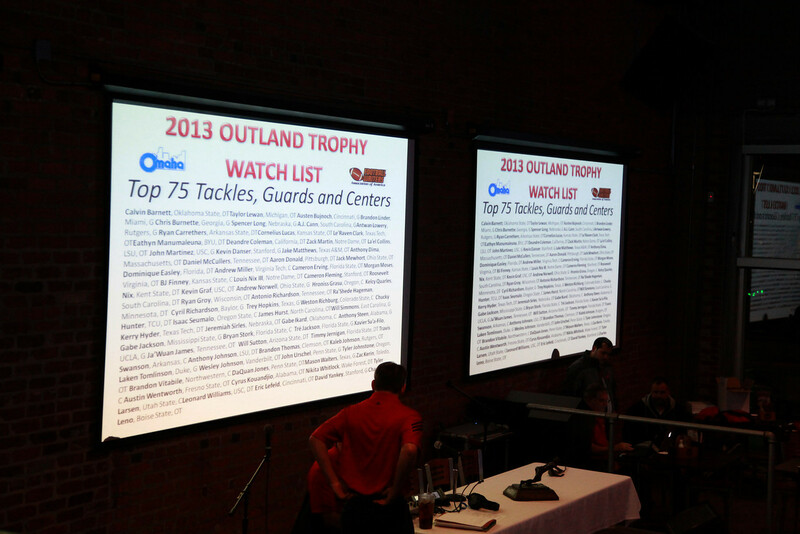 The 5th Annual Outland Semi-Finalists Announcement Reception in Omaha made national news! 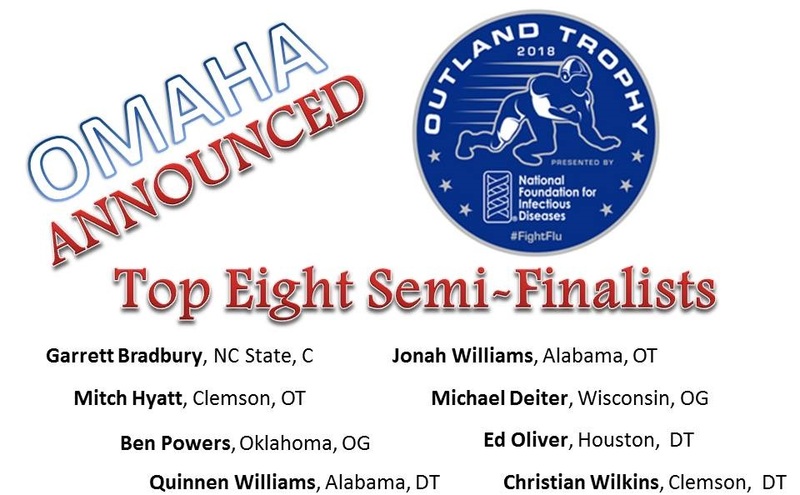 "LIVE FROM OMAHA NEBRASKA," the Greater Omaha Sports Committee Officially will announce the eight Semi-Finalists for this year's Outland Award Trophy. 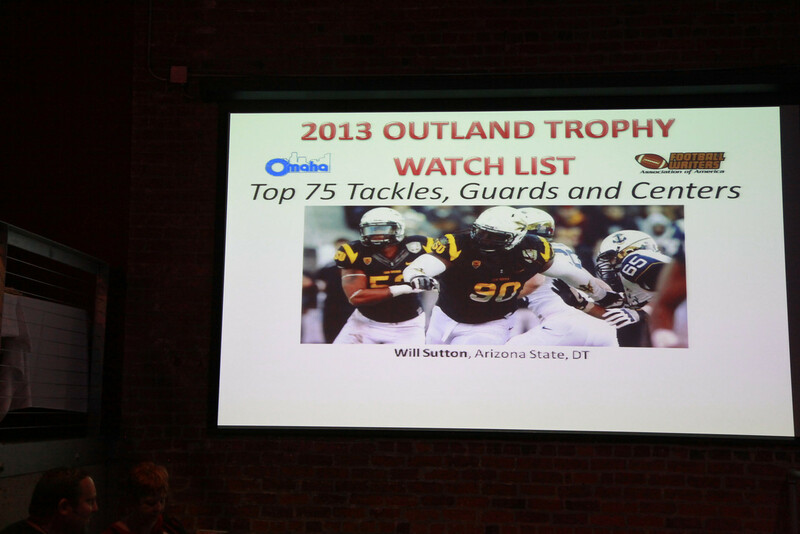 The 2018 Outland Watch List has been Announced Click here and from this list it was narrowed to 8 Semi-Finalist on Wednesday, November 14 at 7 PM at THE Old Mattress Factory, Downtown 501 N 13th St. Doors will open at 6:00 pm. 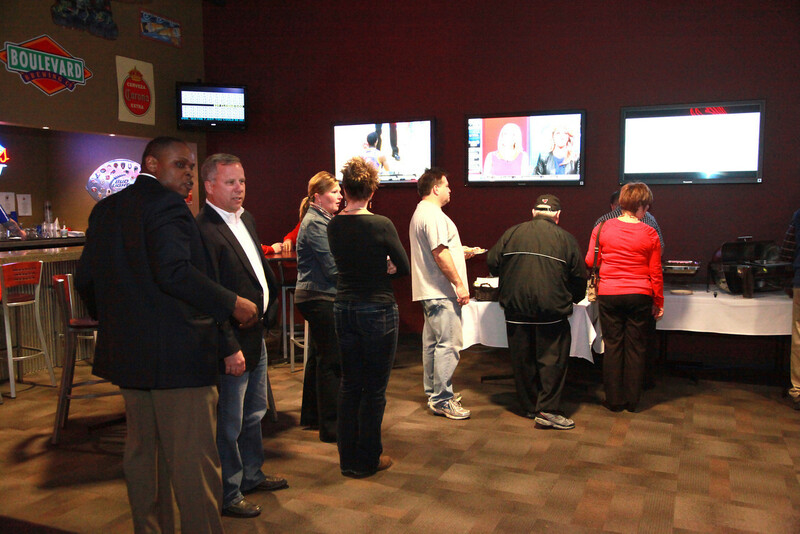 The Reception was Only $15 to attend. 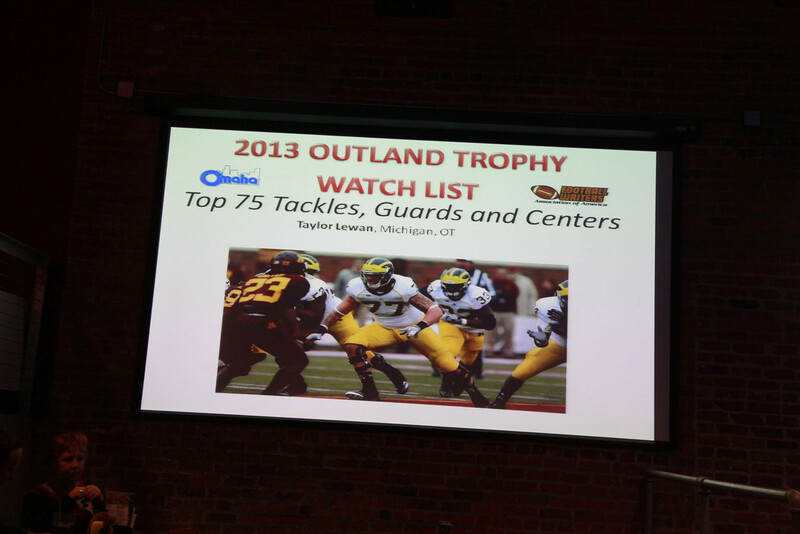 The Outland Trophy Award Dinner's emcee, Greg Sharpe, Voice of the Huskers, was again the event's Master of Ceremonies. 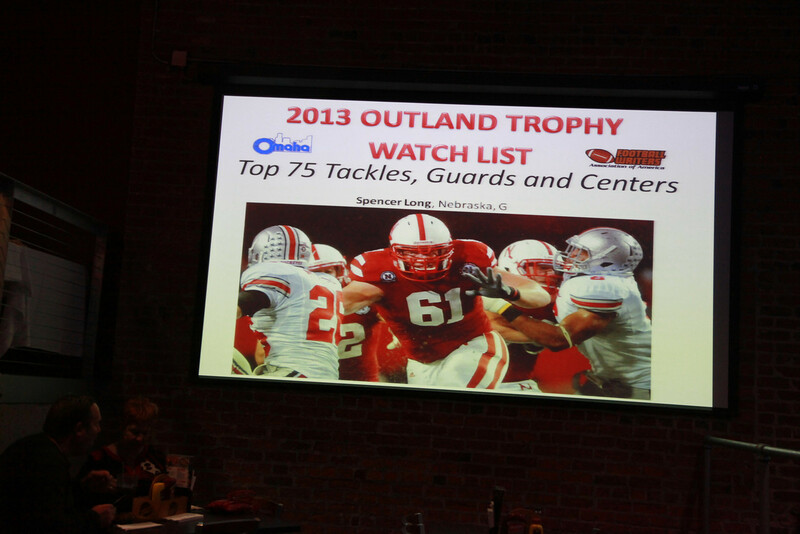 The evening plans include a number of familiar faces in the Omaha Sports Community invited including, Tom Shatel of the Omaha World-Herald, members of the Outland Trophy Award Dinner Committee, Rotary Club of Omaha -Downtown and the Greater Omaha Sports Committee. 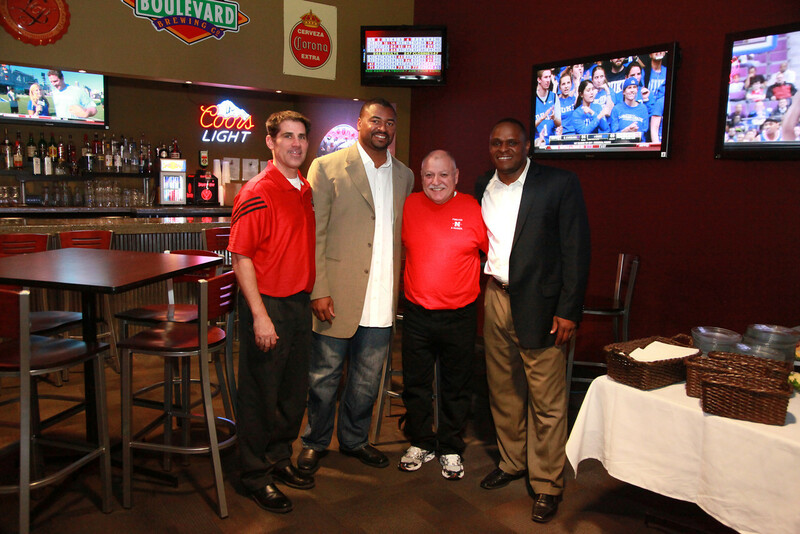 Husker Greats also were in attendance including Larry Jacobson, Johnny Rodgers, Calvin Jones, Tony Velend and several others. 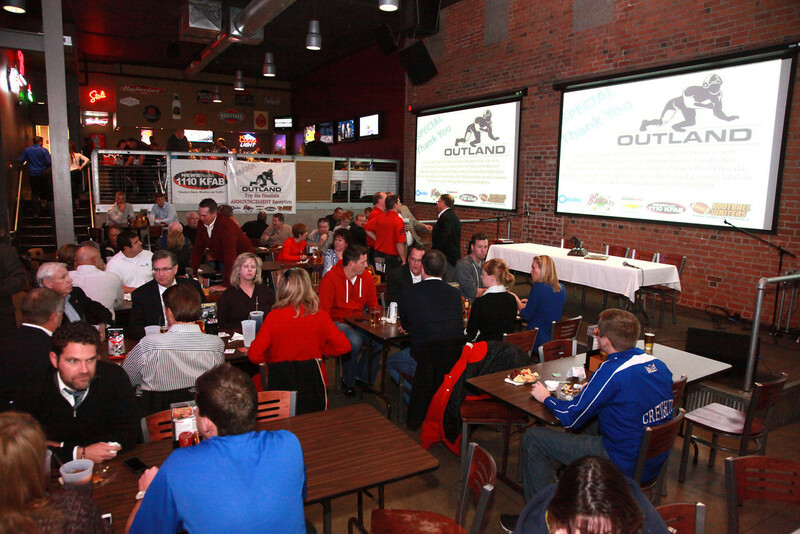 The Outland Dinner Committee would like to thank our Reception Sponsors Werner Enterprises, Coca-Cola, Coors Light, Dos Equis, The Old Mattress Factory and the Omaha World-Herald. Tickets were only - $15. 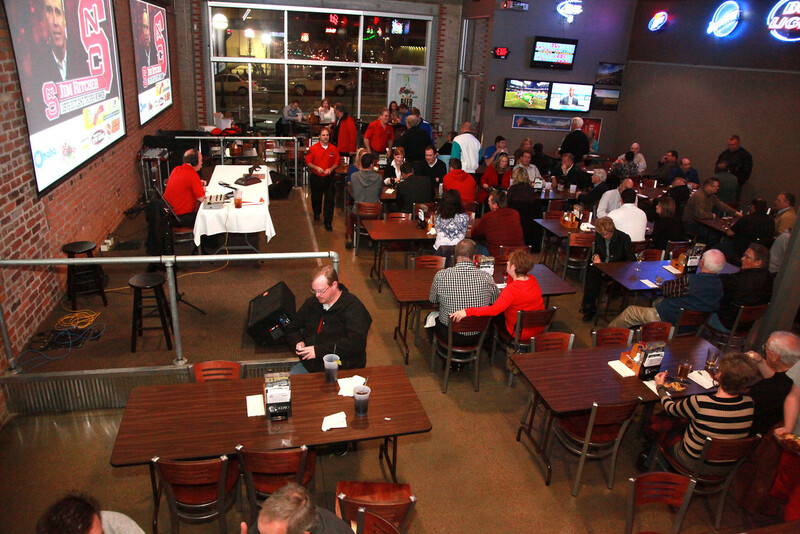 We are encouraging people to purchase tickets for there will be door prizes through out the night and each ticket includes 2 Beers and Hors d’ oeuvres. We are looking for any help to sell tickets. 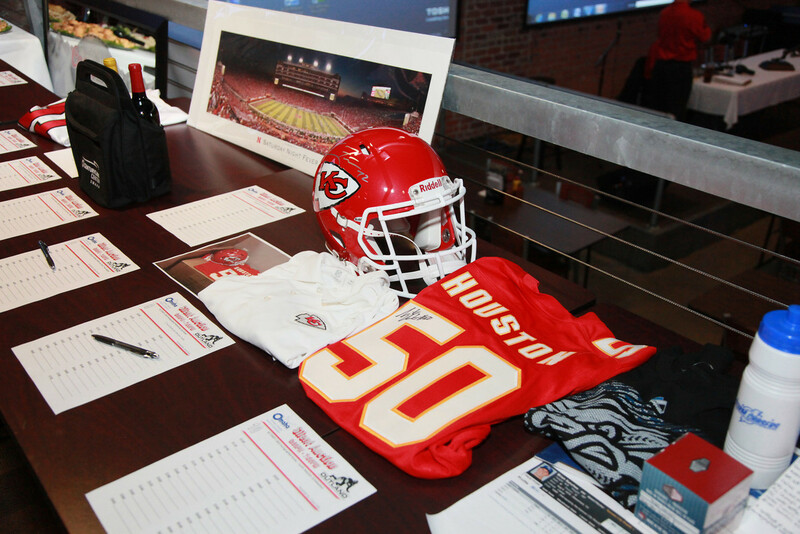 The committee offered a silent auction with exciting items! 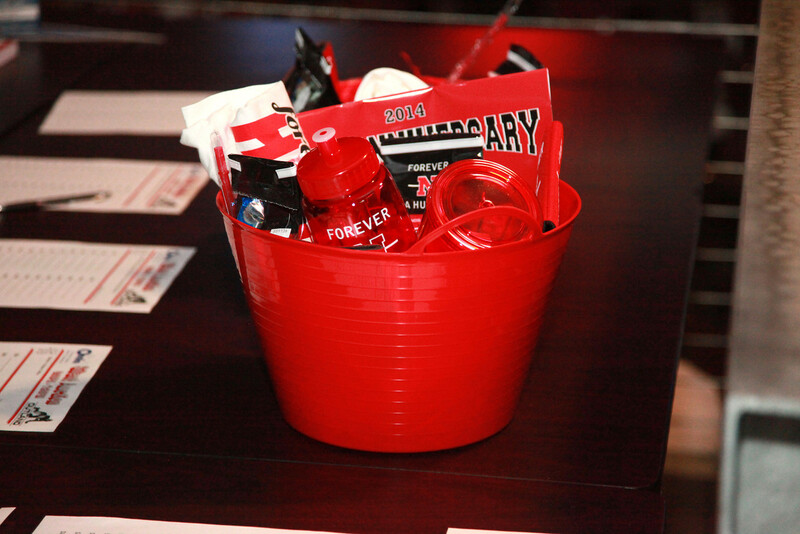 A hint of these items similar to last year include: Front Row tickets to the College World Series; Autographed items from the KC Chiefs'; Autographed books by Tom Shatel, Creighton Blue Jay Basketball Tickets on Mid-Court; Nebraska Basketball Tickets; and more. 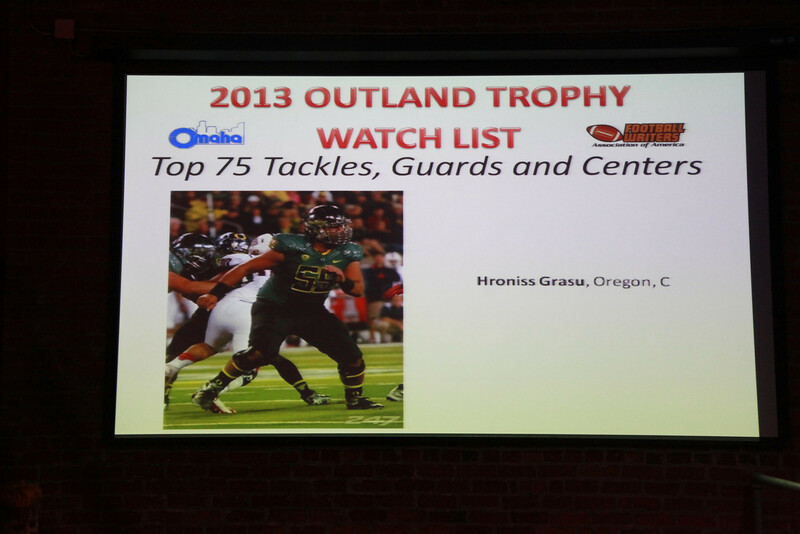 The Greater Omaha Sports Committee is excited to have this opportunity to recognize these outstanding players that could become the 73rd winner of this prestigious trophy, which is the nation's third oldest college football award. 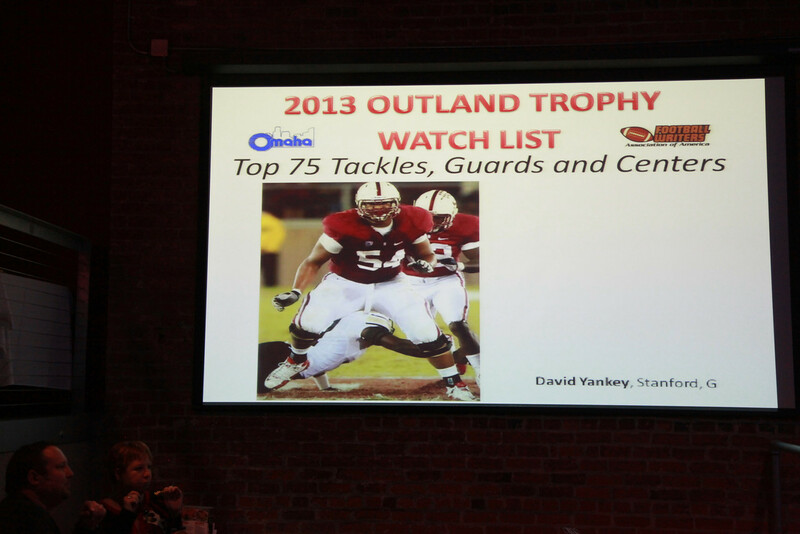 The Werner Enterprises Outland Trophy Award Dinner, hosted by Omaha for 21 years, will be presenting the Outland Trophy again this year, Wednesday, January 9th, 2019, at a banquet in Omaha, Nebraska. These unsung heroes deserve attention and recognition for their hard work, sweat and blood, poured into battle every Saturday for a game that is won or lost in the trenches. 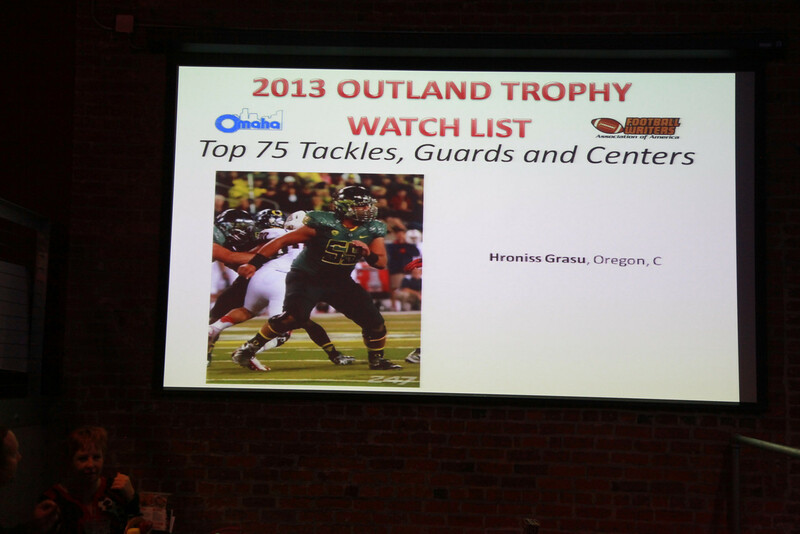 The one that rises to be the Best, the unsung hero, the Outland Winner! 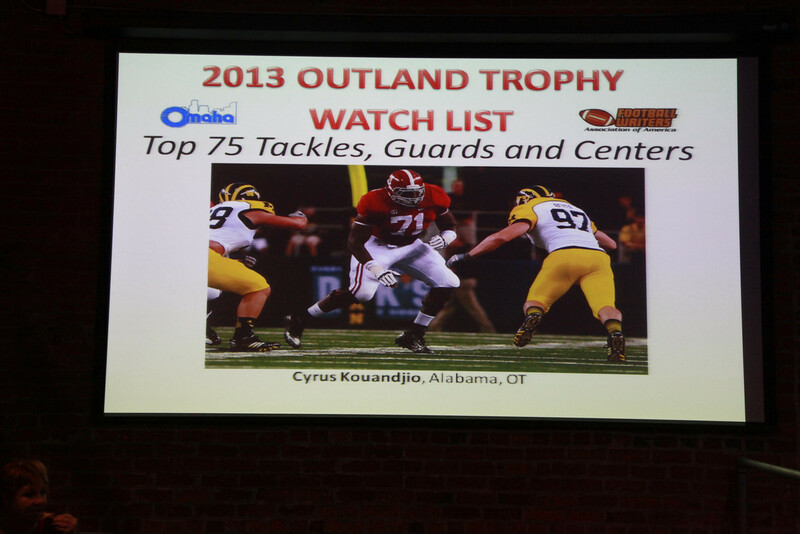 This Announcement will lead into ESPN's announcement of the three finalists for the 2018 Outland on Monday, November 19, and winner is announced on the Home Depot College Football Awards on Thursday, December 6. 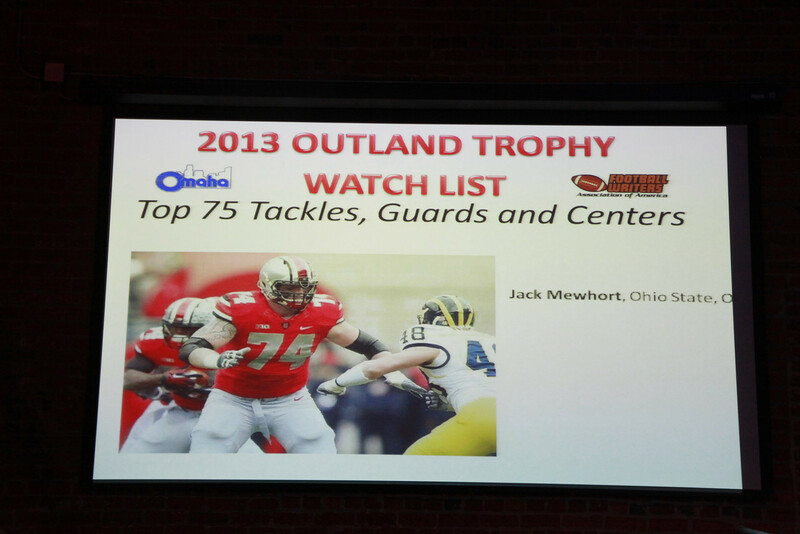 The Werner Enterprises Outland Trophy Award Dinner will be held in Omaha on Wednesday, January 9, 2019, at the DoubleTree Hotel Downtown. Mark your Calendars! 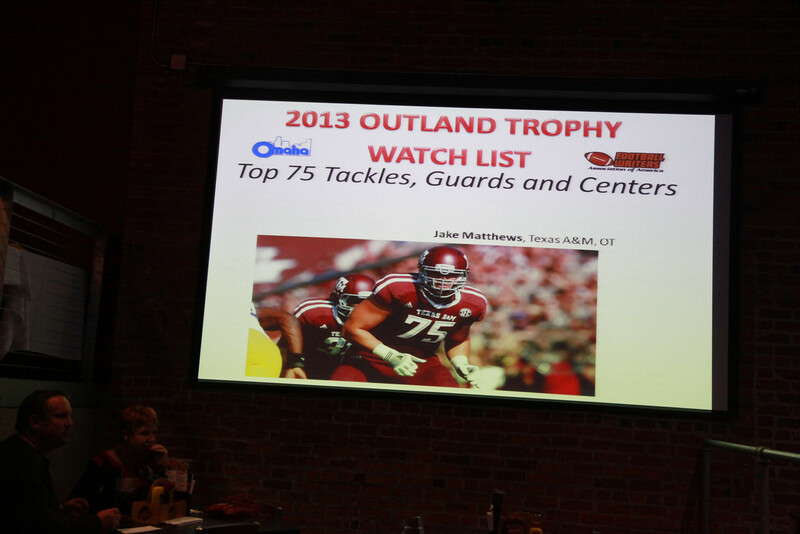 For the 22nd consecutive year, Omaha will present the Outland Trophy Award to college football's top interior lineman. 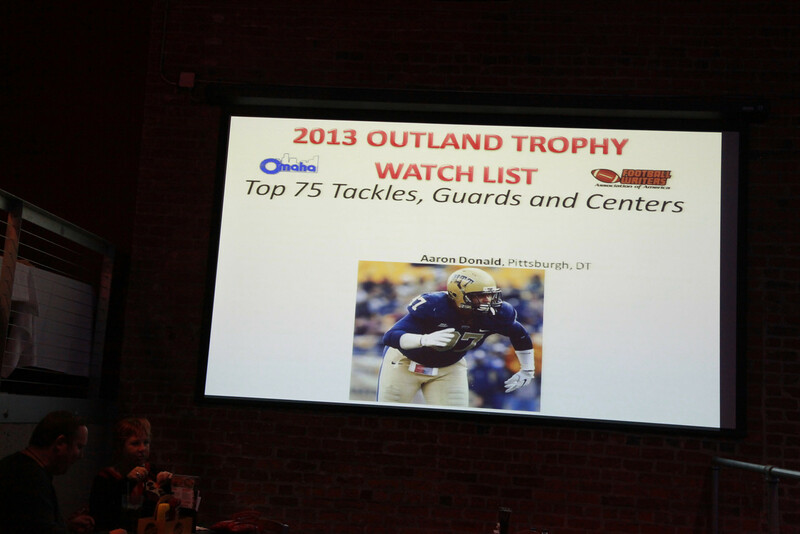 This year the Werner Enterprises Outland Trophy Award Dinner will be held Wednesday, January 9th, 2019, at 7:00 pm, at the DoubleTree Hotel, 16th & Dodge Streets. 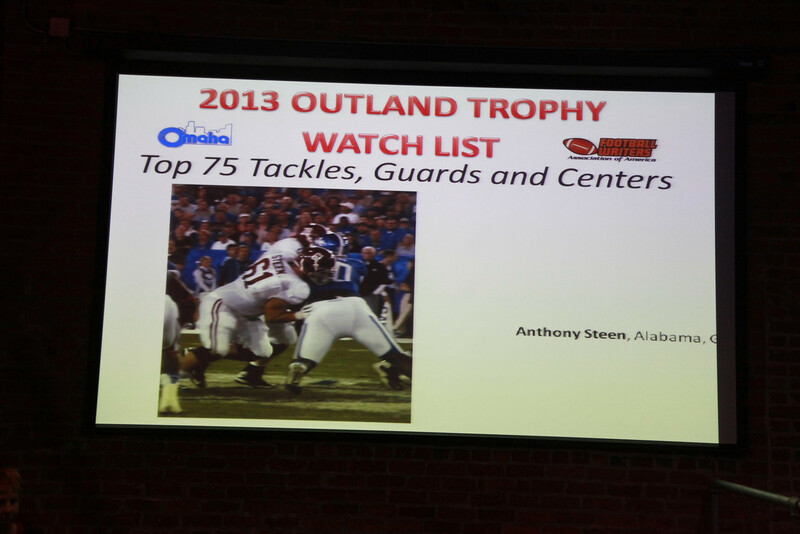 Tickets are $75.00 and tables of ten sell for $750.00. 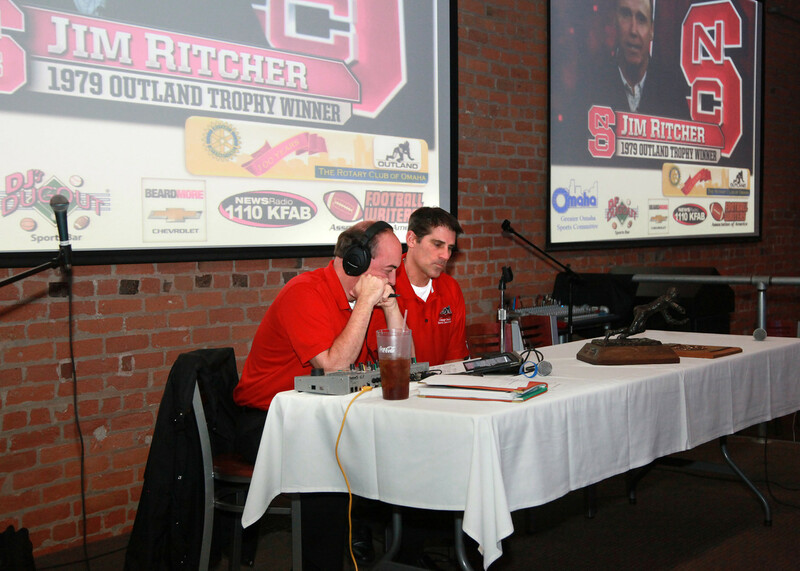 Also appearing at the dinner for the 21st straight year will be the winners of Nebraska's football senior awards - the Novak Trophy, the Chamberlin Trophy and the Cletus Fischer Native Son Award. 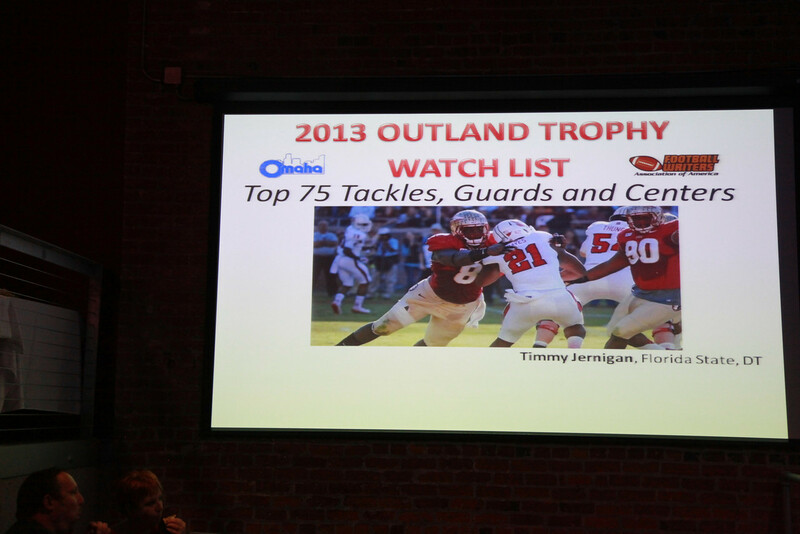 UNL Football Coaches and UNL Assistant Coaches will be invited to attend and, sponsored by Rotary, Mike Ruth, 1985 Outland Award Winner will finally receive the actual Outland Trophy, as well as for the 5th consecutive year former University of Nebraska and Ohio University Head coach Frank Solich, will receive the Tom Osborne Legacy Award at this same banquet.